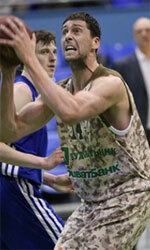 Ferroviario Beira (D1) agreed terms with 31-year old Ukrainian ex-international center Maxim Ivshyn (209-103kg-86). He played last season at SK Cherkasy Monkeys in Ukrainian Superleague. Ivshyn managed to play in four leagues in two countries last year (!!!). In 18 Superleague games he had 5.1ppg and 2.6rpg. He helped them to make it to the semifinals. Ivshyn also played that season for KB Peja (SuperLeague) in Kosovo. The team played in three different competitions that year, and he had a chance to explore basketball on different levels. In 6 SuperLeague games he recorded just 2.5ppg, 1.5rpg and 1.2apg. Ivshyn also played 4 games in FIBA Europe Cup where he averaged only 2.5ppg. He also played 4 games in Balkan League where he got 5.8ppg, 3.0rpg and 1.0apg. Ivshyn was also a member of Ukrainian international program for some years. He played for Ukrainian Senior National Team between 2006 and 2008 and previously for U20 National Team between 2004 and 2006. Ivshyn also represented Ukraine at the World University Games in Belgrade (Serbia) eight years ago. 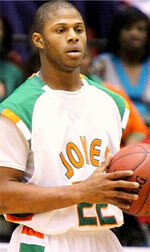 His stats at that event were 4 games: 2.8ppg, 1.3rpg, 1.0bpg. Ivshyn has played also professionally for other Ukrainian teams like Ukraine for Budivelnyk Mariupol Polit-Halychyna Kryvbas Poltava BC Donetsk Azovmash Mariupol 2nd team.